A high performance coating for insulated and un-insulated steel and concrete surfaces that resists wet-dry thermal cycling, boiling water, and steam has been introduced by Dampney Company, Inc. of Everett, Massachusetts. 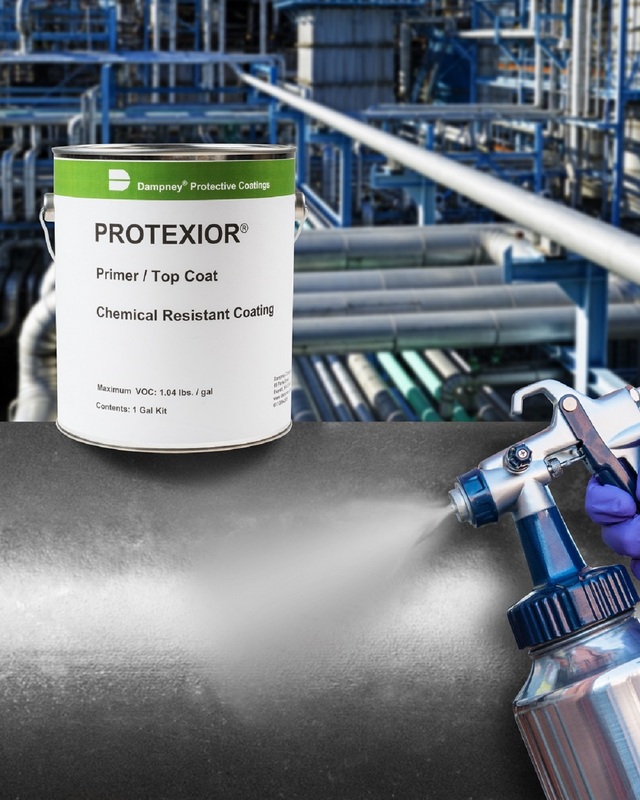 The Protexior® Chemical Resistant Epoxy Top Coat & Primer Kit combines a corrosion- and heat-resistant coating up to 450°F into one high performance specification that meets both ISO 20340 and ASTM B-117. Featuring Novolac epoxy protection integrated with silicone resin technology, this low VOC coating protects insulated and un-insulated steel and concrete surfaces. Suitable for indoor and outdoor CUI applications, the Protexior® Chemical Resistant Epoxy Top Coat & Primer Kit conforms to ASTM G 85-02 modified salt spray, ASTM D-543 boiling water resistance, the ASTM D-3359 adhesion tape test, and ISO 20340 Annex A Ageing resistance. Applied by roller or spray, typical uses include piping, vessels, valves, ducts, and plenums. The Protexior® Chemical Resistant Epoxy Top Coat & Primer Kit is available in 1- and 5-gallon kits. Pricing is provided upon request.